Weight and balance, to a pilot, is just something to do before each flight, along with planning and running checklists. When you run the numbers, you might consider taking less fuel to accommodate luggage, although rarely does this before a moment to reflect on your own weight. For me, however, a small aircraft pilot, a certified personal trainer, and a nutrition enthusiast, weight and balance does spark a reminder about the extra benefits of remaining physically trim. 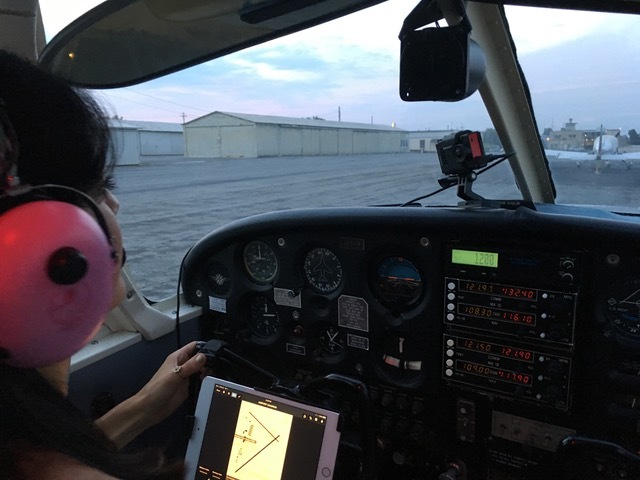 I'm advantaged over most pilots in the category of weight, being a woman and a comparatively petite one, but I understand deeply the benefits of cutting unneeded weight when it comes to flying, and to life. 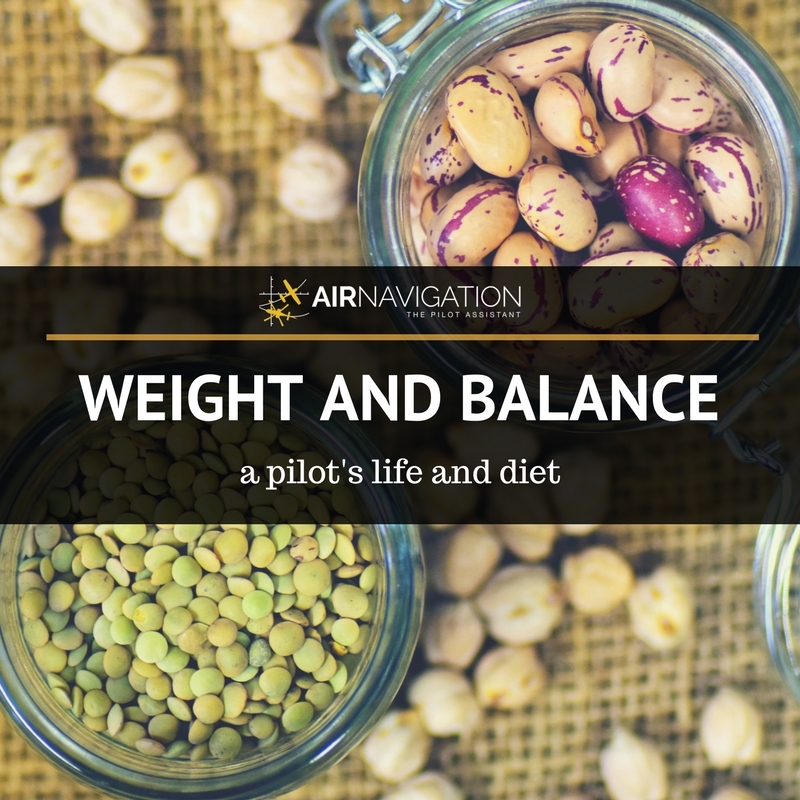 While most of the following dietary advice is especially applicable to pilots who fly single engine, small aircraft, like the Piper Cherokee or Cessna Skyhawk, all pilots can benefit from a healthy weight and life balance. For the dream-liner pilot whose weight barely makes a mark on the weight and balance formula, or to the airliner pilot who checks off with a standard weight of a male passenger, your BACK will thank you for having a healthy weight. Not to mention, the bigger the plane, the longer the flight. Being healthy and trim is a powerhouse when it comes to having the energy to wake up early, fly safely to your destination, and enjoy the scenery when you get there. As a small aircraft owner and regular pilot of the PA28A 140, C152, and C172, I have to consider how much baggage I can actually accommodate on a flight. 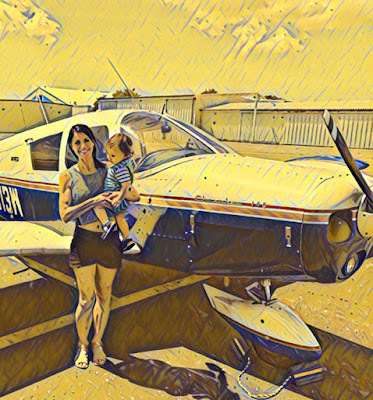 Flying to New Jersey this summer with a friend (140 pounds), her dog (10 pounds), my dog (80 pounds), and my toddler (25 pounds), along with luggage for the weekend vacation, with consideration for the hot summer weather, the weight and balance was close to the limit. Fortunately, my weight didn't tip the scale and I as able to take full tanks, saving us from having to make a fuel stop. This is the big benefit for small aircraft pilots, less weight mean akin more cargo and flying further! For those of you considering dropping some pounds but having a roller coaster ride of emotions about it, I understand! It's frustrating, disheartening at times, can feel impossible, and for many of us, makes us defensive and angry. I can say I understand because I have lost A LOT of weight. While pregnant with my one and only darling child, I packed on the pounds! For some reason, eating entire sheets of lasagna seemed reasonable at the time. In the course of 9 months, I gained nearly 80 pounds, only the 30 of which came off quickly. 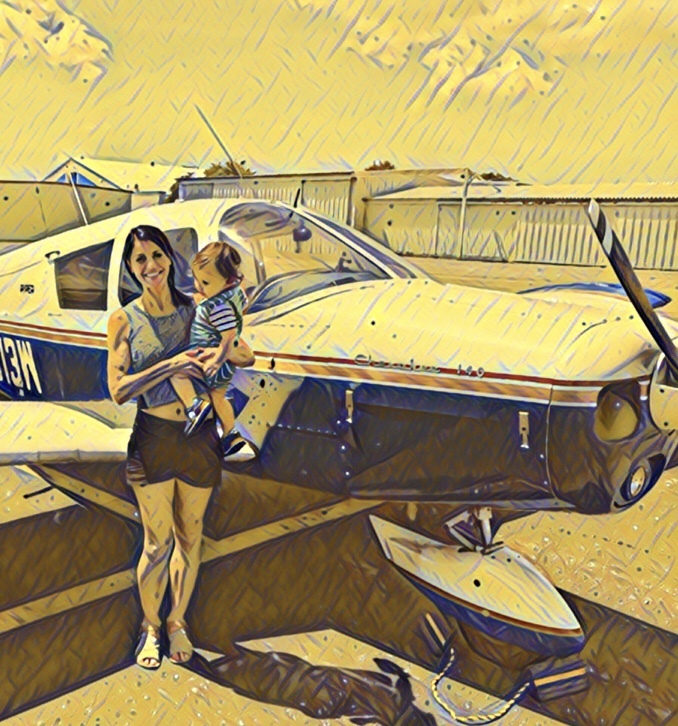 Over the first year of my son's life, I was struggling to lose the other 50 pounds and returned to flying small airplanes. With a strict exercise routine, I managed to drop another 30 pounds over the course of 6 months, but started to feel like I was just going to have to learn to live with being 20 pounds heavier for the rest of my life after the weight loss stopped. This changed when I took the dietary advice from a popular idea, fused it with my knowledge of nutritional science, and stuck to my values as a vegetarian. Taking a moment to make it clear, I am not a registered dietitian, however, I did an A+ in my nutritional science class at the University of Oklahoma. I slimmed down from over two hundred pounds to my now 130. Without protest, I'll say this qualifies me to at least tell you how I lost the weight. The secret to losing weight quickly and not gaining it back is: EAT REAL FOOD. Only eat real food. Do not compromise on this principle. By real food, I mean only things that are not processed AT ALL. This include bread, granola bars, anything with any amount of added sugar of any kind, and anything which has ingredients which you cannot identify. One more thing, you can't eat dairy either. I know this will cause an immediate reaction for cheese lovers. You may respond with anger and shout, "but cheese is real food!" Hold that thought and hear me out. Recently, I took my son for his one year and six months check up at the doctors. His pediatrician considered his weight and then asked me if I'd been giving him milk. I confessed that I don't eat dairy, so I hadn't been feeding it to my son either. She responded sternly, and told me that babies under the age of two must have dairy to gain weight! After two, it didn't matter, he could have coconut or almond milk as a substitute and there isn't a problem. She was right about dairy and weight gain. I started to keep milk, yogurt, and cheese for my son to eat and he's been gaining weight again quickly. I share this story to emphasize the point, dairy is for babies and its purpose is to make them GAIN WEIGHT. If you're underweight and need help with gaining some weight, add some dairy into your diet. This dietary advice, a sort of modified Paleo diet, was hard for me to adopt myself. Being a nearly life-long vegetarian, food like bread and cheese were staples of my daily nutrition. By research, I found wonderful replacements in real food. Instead of bread and cheese, I eat beans and rice. Instead of scarfing down a granola bar, I cook steel cut oats or make gluten free pancakes out of garbanzo bean and tiger nut flour. If I'm in a rush, I'll whip up fruit and vegetable smoothie, add some nut butter for protein and extra energy to sustain me. Honestly, I enjoy the food I eat now more than I ever did when I used to eat pizza, pastas, and boxes of cereal. 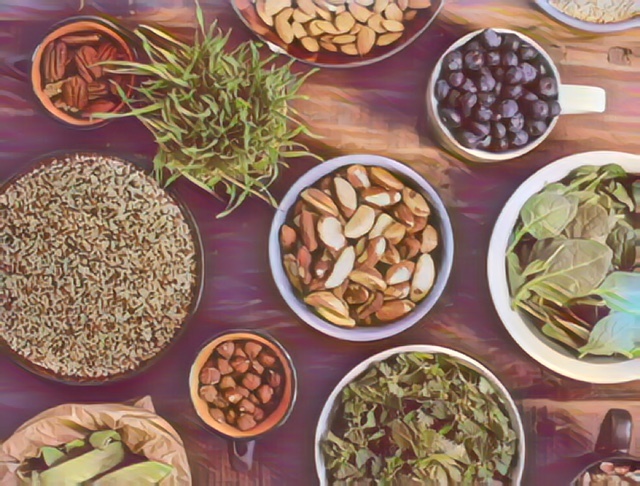 There is amazing variety in the number of fruits, vegetable, nuts, legumes, and even flours made from these things which make phenomenal meals. If you don't believe me, my feelings aren't hurt, but I challenge you to try it for yourself. If you really enjoy this dietary advice, and see the results you're hoping for, be it more energy or a lower body weight, leave feedback!